Modern enterprises require I.T. organizations to become more agile to manage complex physical, virtual, and cloud technologies. I.T. leaders and their organizations must manage this complexity, keep operating costs low, and deliver on ever-increasing SLA expectations. 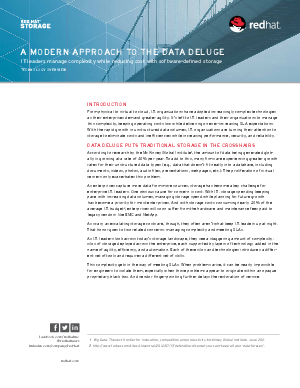 With the rapid growth in unstructured data volumes, I.T. leaders are rethinking how storage is delivered for their organizations.